Hello Switzerland is Switzerland’s leading source of entertainment and information on the relocation process to and from Switzerland, settling down and discovering the new homeland. 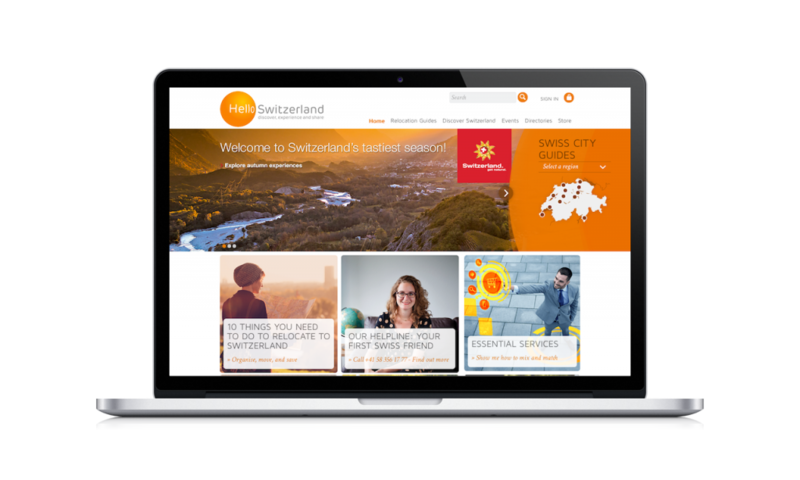 Hello Switzerland offers a cross-media package consisting of print magazine, web portal, newsletters and mobile apps for Android and iPhone. A key element of the offer is the search, which allows users – both in the portal and via app – to quickly and targeted reach the desired information. 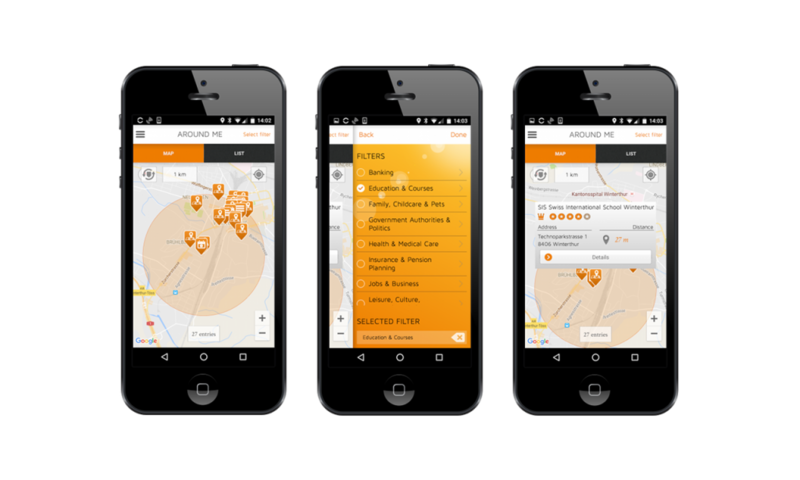 Around me – Through the Hello Switzerland app nearby service providers, points of interest, and events can be searched and filtered according to own preferences. Context-sensitive search and geographic-based boosting – The search recognizes both the context of the user as well as places and regions in the search query and adjusts the search results’ ranking accordingly. 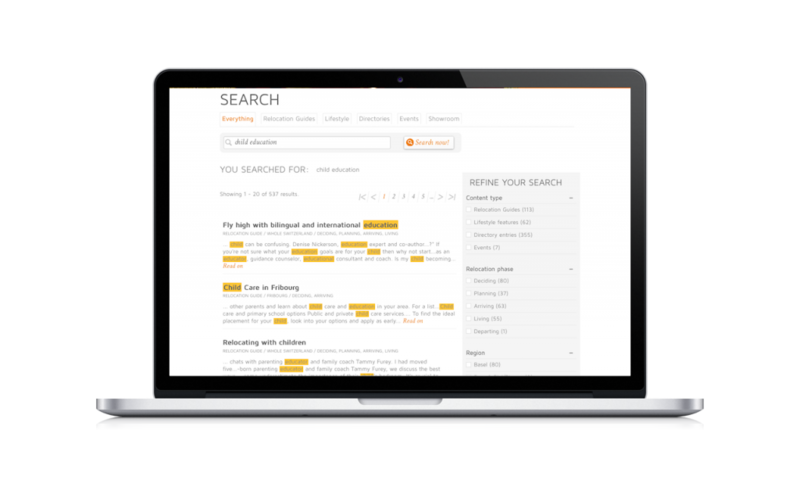 Boosting, synonyms and query expansion, tailored to Hello Switzerland, optimize the quality of the search results.